Below is a sample of the latest clipart we have added to our website. We try to hit a few highlights. If you seek a specific image, try our search engine above. It searches clipart, animation and graphics sites only (including ours). You might also try our Main Clipart Menu or select our logo at the top which will take you to our homepage. Antigua and Barbuda Clipart - "New Category" - New Antigua and Barbuda clipart and flag animations. Memorial Day - New glitter animations and clipart images for Memorial Day. Father's Day - 10 new Happy Father's Day animations and clipart including glitter. Father's Day Borders - 4 new Father's Day borders and frames created and added. Easter Backgrounds - "New Category" - 14 new Easter background images included. Boats and Ships - 4 new boat animations including tugboats. Angola Flags - "New Category" - 6 new Angola images created including hearts and buttons. Easter - 4 more Easter glitter animations plus a bunny smiley. We also created and added more Easter covers and Easter borders. Flags Animations and Clipart - We have been working on, and continue to work on the flags section. We have created and included new graphics to the American, Canada, French, British, Australia, German, Italy and Mexico categories. More will be added daily for the next 2 weeks. Butterflies - 4 new butterflies, including glitter animation, have been added. Easter - 6 new Easter animations and images added. Easter Covers - 7 new Easter Facebook Covers created and included. Easter Borders - 8 new Easter borders created and added for 2019. Andorra Flags - "New Category" - 7 new Andorran animations and clipart including heart and flag buttons. Mother's Day - New glitter animations added for Mother's Day. Arrows - New 3D directional arrows. Autos - 4 new car animations including classics. Backgrounds - New background images including eagles, deer and polar lights. Birthday - New birthday images including birthday party and happy birthday to you animations. 4th of July - 4 new Independence Day images and animations. Alligators - 3 new alligator and crocodile images. American - 5 new American Patriotic images and animations. Animals - 14 new animal animations and images including dogs, cats and penguins. Ant Graphics - 4 new ant animations including alien ants. Arbor Day - 4 new Arbor Day graphics including abstract tree designs. 4th of July Borders - New Independence Day borders including eagles and abstract designs. Aircraft Graphics - New drone and balloon aircraft images. Alien Animations - 14 new aliens including 4 of Sigourney Weaver's favorite alien friend. Valentine's Day Animations - 9 new Valentine animations and images including hearts, I Love You and flowers. 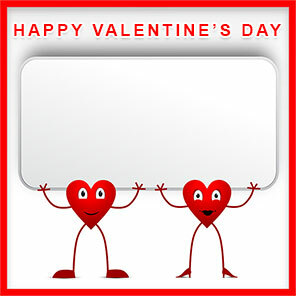 Valentine Borders - 6 new valentine borders with hearts, flowers and more. Valentine Facebook Covers - "New Category" - 8 new Valentine Covers. We will create and add more before the holiday. Presidents Day - New Presidents Day images including Martin Van Buren, John Tyler and Andrew Johnson. Christmas Animations - Since September we have added 72 new Christmas animations and images to this category. Lots of Santas, trees, snowmen, elves and under the mistletoe kissing. Merry Christmas - 18 new Merry Christmas animations and clipart images. Christmas Backgrounds - 11 new Christmas background images. Christmas Facebook Covers - 8 new Christmas covers for 2018. Christmas Borders and Frames - 12 new Christmas borders and Christmas party borders designed for print. Christmas Trees - 7 new Christmas tree animations bringing the total to over 50 trees to choose from. Thanksgiving Animations - 8 new Thanksgiving animations including pilgrims. Happy Thanksgiving Graphics - 9 new Happy Thanksgiving Graphics and images for the holidays. Thanksgiving Borders - 5 new Thanksgiving borders for print. Thanksgiving Covers - 5 new Thanksgiving Facebook covers for 2018. Kwanzaa Clipart - 6 new Kwanzaa clipart images for 2018. Halloween - 10 more Halloween animations added focusing on trick or treaters. New Year - 3 more New Year animations focused on celebrating with noisemakers. Halloween Borders - 4 new borders created and added focused on skeletons, ghosts, evil jack-o'-lanterns and black spiders with webs. Halloween Backgrounds - 6 new backgrounds focused on scary jack-o'-lanterns, mummys and monsters. Halloween Facebook Covers - 2 new spooky Facebook covers of ghosts and jack-o'-lanterns. Happy Halloween - 9 new animations including the words Happy Halloween. Grandparents Day - New Grandparents Day animations and images included. We also created 3 new Grandparents Day frames in our borders and frames section. Christmas - 14 new Christmas related animations added including several Santa graphics. Facebook Covers - 12 new Facebook cover images added. Halloween - 10 new Halloween animations included. New Year - 9 new 2019 New Year animations and graphics created and added. We started early this year. More will be coming when we get a little closer to New Year Day. Veterans Day - Newly created graphics and new images for celebrating Veterans have been added. Political Clipart - New political graphics including elephants, donkeys, buttons and more included for 2018. We understand there is an election coming soon. Patriot Day - Several new Patriot Day graphics and animations created to help in remembering the heroes of September 11, 2001. Trucks - New truck clipart and animations including a few crashes. Merry Christmas - "New Category" - Three new pages of Merry Christmas animation. Thank You Borders - New Thank You border frames with hearts. Bird Animations - New animated birds including baby birds. Boats/Ships - Several new sailing ship animations on rough seas. Insect Animations - New bugs including mosquitos, grasshoppers and caterpillars. Happy Thanksgiving - "New Category" - Happy Thanksgiving graphics with glitter animation, turkeys, children, dinner tables, harvest foods and more. Background Images - New morning fog images and spring flower backgrounds. Christian Graphics - New abstract Christian Fish and Dove images plus silver crosses. Button Clipart - New set of round multi colored buttons with steel frames. Birthday Graphics - 5 new happy birthday animations including happy 15th birthday. Happy Halloween - "New Category" - Halloween scenes, animations, glitter and signs featuring the phrase Happy Halloween. Football Graphics - New football animations including handoffs, running and even crying (hey, there's no crying in football!). Mother's Day - New Mother's Day graphics including flowers and more children remembering Mom. Horizontal Lines - New calligraphic dividers in many colors and designs. Zimbabwe Flags - "New Category" - Flag animations and clipart images of the Zimbabwean flag. Category includes map flags, heart flags and animated flags with white, black and transparent backgrounds. Fire Trucks - 6 new firetruck animations including ladder trucks. Fishing - 14 new fishing animations including several of fish that might be too big or fishermen that might be too small. Even has a few fishing surprises. Flag Day - New animations of people carrying and waving the American Flag. Animated Flowers - 10 new flower animations including Roses and Venus Flytraps. Christmas Backgrounds - 5 new Christmas backgrounds with snow, stars and stuff. Christmas Animations - 13 new Christmas animations including wreaths, candles, Santa and fireplaces. It's never too early to think about your Christmas graphics needs. Animated Chairs - 7 new animated office chairs and a couple of rockers for after work. Chemistry - 6 new chemistry animations including mad scientists and dangerous chemicals. Congratulations - 5 new congratulations animations including weddings and babies. Background Images - New marble texture backgrounds and spring beach images. Baseball - 10 new baseball animations including umpires, batters, pitchers and base runners. Basketball - 8 new basketball animations including slam dunks, dribbling, free throws and layups. Bird Animations - New chicks and parrots animations. Butterflies - 12 new butterfly animations including in flight and glitter. Camping - 5 new camping animations plus new clipart images. Christian - 8 new Christian animations including Churches, Bibles and Crosses. In the last 2 months we have added new graphics to almost every category. I am behind on the updates. Hand Tools - We've added garden hoes, mallets, pick axes and pitchforks. Truck Clipart - New pickup trucks and delivery trucks. Thank You Clipart - New thank you images and borders. St. Patrick's Day - We've included at least 10 new St. Patricks graphics and signs. Presidents Day - We've added new graphics for "Washington's Birthday" also known as Presidents Day. A few more images of our friend George and some Presidents Day signs and clipart. World Flags - 15 new flags and flag hearts. Face Clipart - New face images with a focus on children. Farm Animals - New farm animal images including roosters and farm cats. Autos - New car graphics including photos. Science - New chemistry and science images and photos. Congratulations - New congrats borders for print. Car Clipart - New car images including people driving. Animations - 8 new animations of various categories. Ants - 4 new ant clipart images. Weightlifting - New Category - Photos, clip art and animations concerning weight lifting. African Backgrounds - New African photo backgrounds. Baseball - Animations added including pitchers, batters and first baseman. Zebra Clipart - New Category - Zebra photos, clipart and zebra animations. Animals - New dog animation and clipart. Ant Clipart - New ant animations including several worker ants. Arrows - Several new large arrow designs. Car Clipart - Several new luxury car photos and clipart. Aircraft Clipart - Commercial jets and prop planes added. Alien Animations - Waving animated aliens added. Alligators - New animated dancing and musical alligators. American Patriotic - New American Eagle with American Flag graphics. Backgrounds - New flamingos and reindeer photo background images. 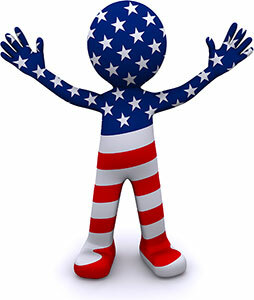 4th Of July Clipart - New stars and stripes images. 4th Of July Borders - New print borders for Independence Day. Women Clipart - New women images and silhouettes added. St. Patrick's Day - Images and graphics created for Saint Patrick's Day. Backgrounds - New black and white geometric designs for websites. New Year Clipart - 2017 New Year clipart plus animations created. New Year Borders - New borders and frames created for the New Year. New Year Covers - Facebook covers created for 2017. Presidents Day - New Presidents Day images, clipart and animations for 2017. Veterans Day - Plenty of new clipart and animations for Veterans Day. Thanksgiving Clipart - New Thanksgiving and autumn clipart plus animated clipart for use on your websites. Includes Happy Thanksgiving, scarecrows, turkeys and more. Thanksgiving Borders - A whole page of new Thanksgiving frames and borders including autumn leaves, turkeys, pilgrims, pumpkins, Happy Thanksgiving, cornucopias and more. Thanksgiving Facebook Covers - Autumn leaves, pumpkins, turkeys and more for your cover. Background Images - Many new backgrounds including black and white backgrounds plus geometric shapes. Columbus Day - Over the last few months we have added more than a dozen new Columbus Day clipart images and animations including a few signs with glitter. Halloween Clipart - Dozens of new Halloween animations and clipart images have been created and added to the site. This includes jack-o'-lanterns, witches, bats and Happy Halloween signs. Halloween Backgrounds - We have added 15 new Halloween background images for the holiday. Many spooky scenes with flying witches, scary jack-o'-lanterns, vampire bats and even a few grim reapers. Halloween Borders - We continue to add new Halloween borders for print. Frames with black cats, skeletons, jack-o'-lanterns, flying witches and more. Halloween Facebook Covers - A new category this year. Many scary scenes for the holiday season. Plenty of ghosts, bats, witches, grim reapers and haunted houses. Most without comment so you can add your own if you choose to add words. Backgrounds - We have added at least 30 new images and designs since the last update. This includes about 10 new white background creations. Labor Day - We have created and added at least 10 new Labor Day graphics. This includes some glitter graphics. We have never been big on glitter but in the last few months we have added a few to many different categories. Of course, as always, ours are a little different from others we have seen. Grandparents Day Borders - We have gone a little nuts on grandparents borders. Just having fun. We've created some targeted frames such as for MEMA, PAPA and Nanny grandparent. Trust me, more are in the works and will be on the site by Grandparents Day. We didn't forget the standard "Happy Grandparents Day". Patriot Day - We swore we would Never Forget and we won't. In the last few weeks we have created new graphics for the day of remembrance. Also added a few photo graphics. National POW/MIA Recognition Day - Over the last few months we have included some larger POW/MIA graphics and images. We also added a few animations. Never forget those that gave the most. POW/MIA Day is September 16, 2016.